A Slayer who released the Demon from his Arm. The boy was infected by Kazan's syndrome and banished from his town after being disowned by his parents. He wanders around and is captured by the Imperial Guards. The princess stimulates the boy’s mind and accelerates the infection driving the boy into insanity. The boy is selected as a test subject for the Transfer Test and is sent to Vilmark. Other test subjects, the guards, and even Iris fears the repulsive boy in the final stages of his infection. The Transfer Test fails and the boy accidentally slips into the Time Gate and goes through many trials. He is freed from the Kazan infection. The boy wanders around the Time Gate and meets an adventurer in a similar situation as him. The boy, now a Dark Knight, sees the end of time. He sacrifices most of the power he has gained in the Time Gate to return to Arad in an attempt to prevent the horrible future he witnessed. The Dark Knight is an unique variant of the Male Slayer in that it utilizes the attacks of the original 4 subclasses in one single moveset. 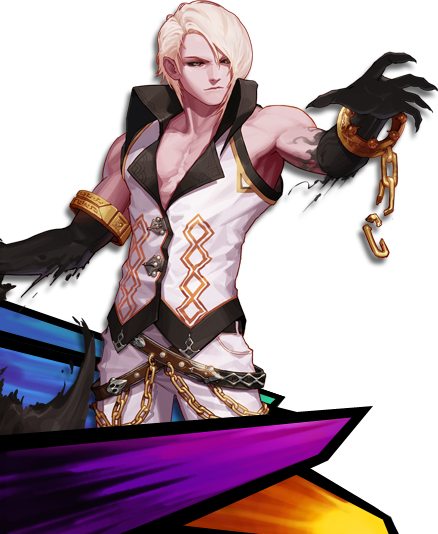 He has access to many of the Slayer's most powerful skills and is able to freely chain them together with his Time Break ability, which not only links corresponding skills but dramatically increases its' damage when chained together. 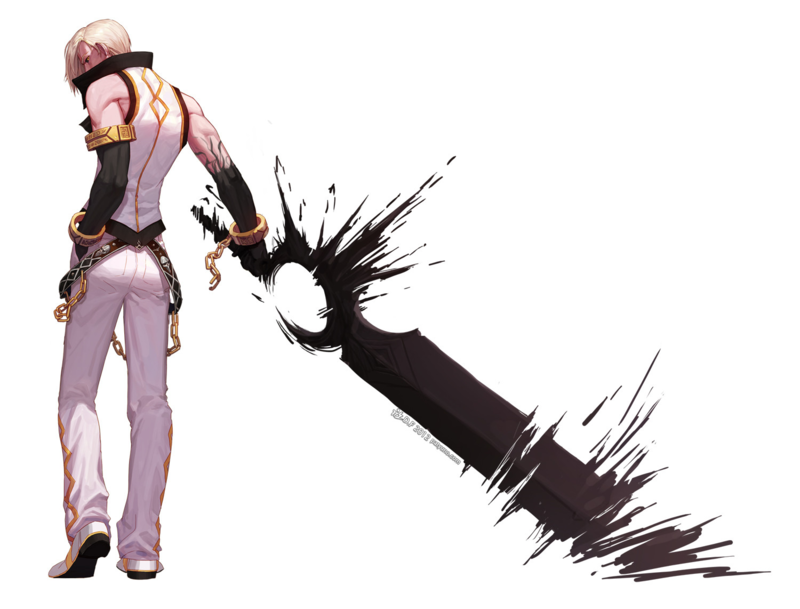 Dark Knight plays a much more offensive role compared to other Slayers, whereas other Slayers possess more defensive tools such as Guard, Flip Side Counter, Afterimage of Keiga, Diehard, or Mind's Eye. Further along the game, the Dark Knight can awaken after completing certain Piece of Time quests. After obtaining 9th Piece of Time, the Dark Knight is able to obtain their first awakening. 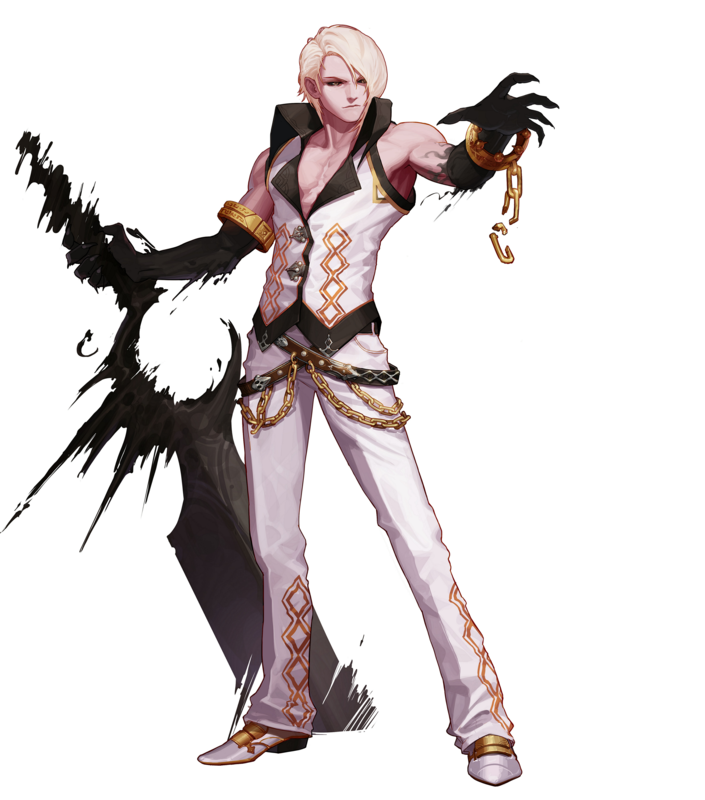 After obtaining the 13th Piece of Time, he is able to obtain his second awakening. Dark Knight does not have a unique subclass cosmetic effect or a 1st Awakening cosmetic effect. His 2nd Awakening cosmetic is a glowing purple aura fuming off his shoulders. Since "Season 2 - Act.01 - Reborn" patch, you can only create and play with this character if you already have any other character (excluding Creator) on level 70 or above, since the game categorizes it as a "Supplementary Story Character" that doesn't fit in the main story, instead it tells you the story from another point of view behind the episodes on the Time Gate area. The Dark Knight has a unique combo system called Time Break. 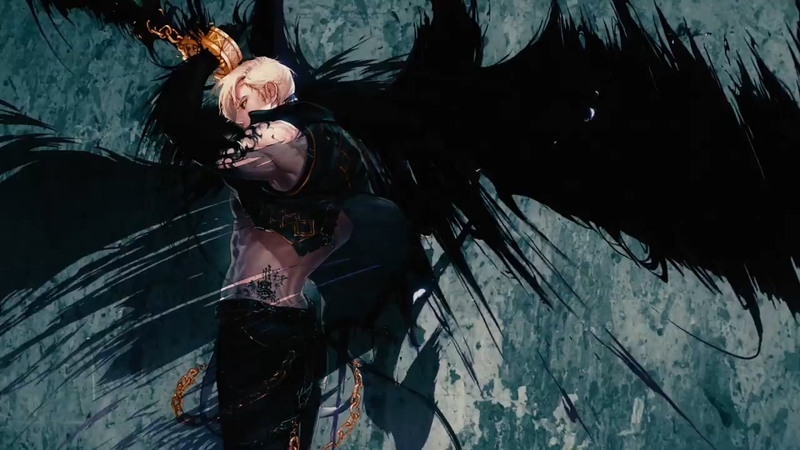 This is a system unique only to the Dark Knight, allowing him to create a skill combo and increase the damage for each skill chained together. It is important for the player to understand DK's combo system to fully bring out his potential; not only in damage, but also in utility. The following may look and sound daunting, but when actually played, it is all quite simple. The first row of hotkeys can have up to 6 skills lined up for each key. From top to bottom, they are referred to as Phase 1 to Phase 6 skills. These lined up skills makes up a “combo” chain. When you use one skill after the other from the same combo key the next skill is stronger. Skills in combo hotkeys are given cancels and can be cancelled out of. Expanded hotkeys (the top row) are normal hotkeys unaffected by combo system or time break cancelling. Using the auto setting function will default all combos to the recommended combo for each hotkey. This is not recommended due how unreliable some combos become. It is ideal to make a combo that suits your play style. The damage amplification values from 1st to 6th Phases are: 100% → 130% → 150% → 180% → 200%. All skills in the same combo share a single cooldown (CD). Combo CDs are averaged from the skills that make up the combo. It is a common strategy to have 1 strong skill with 4-5 other low CD skills to compress the overall CD of a combo to spam one powerful move. When you use a combo skill, the next Phase skill of the chain is available for use almost immediately, bar some skills. You have until 2 seconds after the previous skill ends to use the next skill. If not used in that time frame, the whole combo will go into CD. When you are flinched/KD during a combo in any way, the combo will enter CD. If you use any skill that is not a part of the combo whether it is a Phase 1 combo starter, expanded hotkey skill, or even Evade/Ancient Memory, the combo will enter CD. 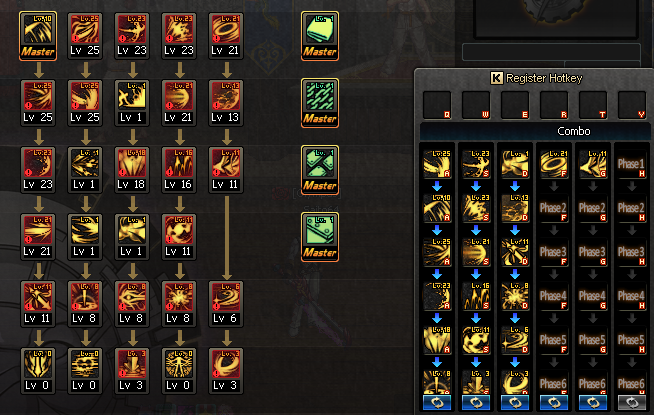 When you burn through all the skills in a combo, it will enter CD. All Phase 2 and higher skills get a brief period of Super Armor (Status) (SA) when they are used. With enough speed, skills can be used so fast in succession that this brief period can equate to full SA on skills. Stage 1 skills will not have SA unless the skill itself has SA. When cancelling, you can change the direction you are facing by holding your movement key in the opposite direction. This allows for some unique movements that no other class can mimic. DK does have its own variant of Slayer's Upward Slash ( Uppercut), but it is not bound to the default Z key due to combo system. Z is a blank key on DK. You cannot use command inputs for DK skills except for Backstep, Quick Rebound, Leap, Ancient Memory, and Indomitable Spirit.